We just returned from our Maui vacation but the summer fun is just beginning for the kids. We have so many birthday parties to attend as well as host and Mason's birthday is up next! That means last minute planning for me and of course I turn to Oriental Trading for my party ideas. Mason has been asking to go camping recently... which is odd because we've never gone nor does he know anyone who has been. However, Oriental Trading has many Party Decoration Ideas that I found a fun mock camping site that can be recreated to set the mood for his birthday. 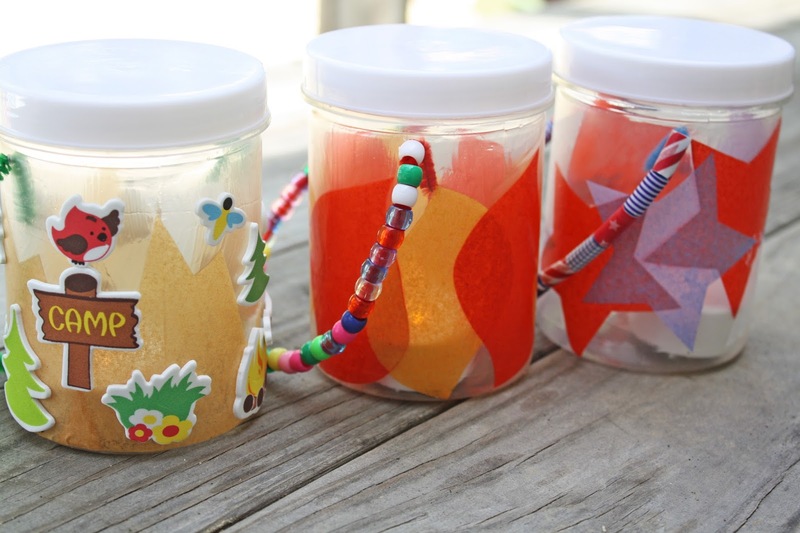 Their DIY Party Crafts such as the Kids Camping Lantern would be a wonderful activity for Mason and his friends. I love hands-on activities for the younger children. This theme is even fun for sleepovers with friends outdoors under the stars and making Smore's treats. My kids love birthday parties and will throw impromptu ones all the time. It's so awesome watching them interact and the hearing the joy of their giggles. They also know that favor bags are much fun to give and receive. Oriental Trading is a wonderful resource of birthday favor bag ideas for so many themes. Their site is easy to navigate and you can host a Pinterest worthy party with minimal effort which gets a huge thumbs up from me as a busy working mom and small business owner. Also keep in mind that young children also tend to change their minds quite often about what birthday party theme they want so mixing it up with different themes with similar color palettes is also a fun trick. Happy kids = Fun Summer Birthday Parties! I love the party ideas at Oriental Trading company. They have great prices and the crafts are amazing that the kids can make. Nice to know that they have camping decorations! Oh I adore the camping idea!! What a great idea!! Id love being able to eat s'mores with the kiddos too :) Love Oriental Trading fir all things party!! What a great idea for a party. I have heard of Oriental Trading but haven't visited their site. Gonna check them out for my daughters next party!! What a fun party theme! I have heard a lot about Oriental Trading but I have never purchased anything from them. These are such cute items! Oriental Trading always has the cutest stuff! They have the best ideas! I love how well they incorporate the themes into every aspect of the party. This camping theme is adorable! I love that it's such a great gender neutral theme that could be used for a ton of different age groups! I've never thought about a camping theme before, but my son would love it! These are all such cute theme ideas! My favorite one is the camping one, it's one of our #1 activities we do during the summer! 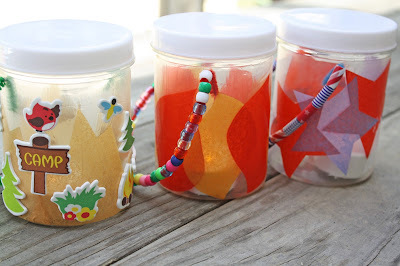 :) I definitely love the idea of DIY party decoratiions and gift bags too!